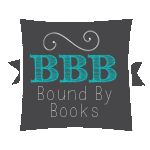 Bound By Books Book Review: The Huntress by Dawn Robertson and Kristen Hope Mazzola is LIVE! The Huntress by Dawn Robertson and Kristen Hope Mazzola is LIVE! I am a good person. In fact, I am the best of the best. I am a saint. I made the greatest sacrifice of my life in hopes of forgiveness from my sins. I saw the light and he saved me from the darkness. I am Nameless. Does anyone know who I really am? Dawn and Kristen want to warn you: this is not for the faint of heart! But if gore, violence, and extreme sexual situation are your cup of tea, this is the series for you.